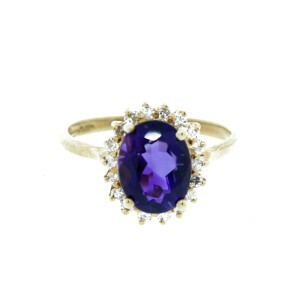 Add some sparkling beauty to any ensemble with this gorgeous diamond and gemstone ring. 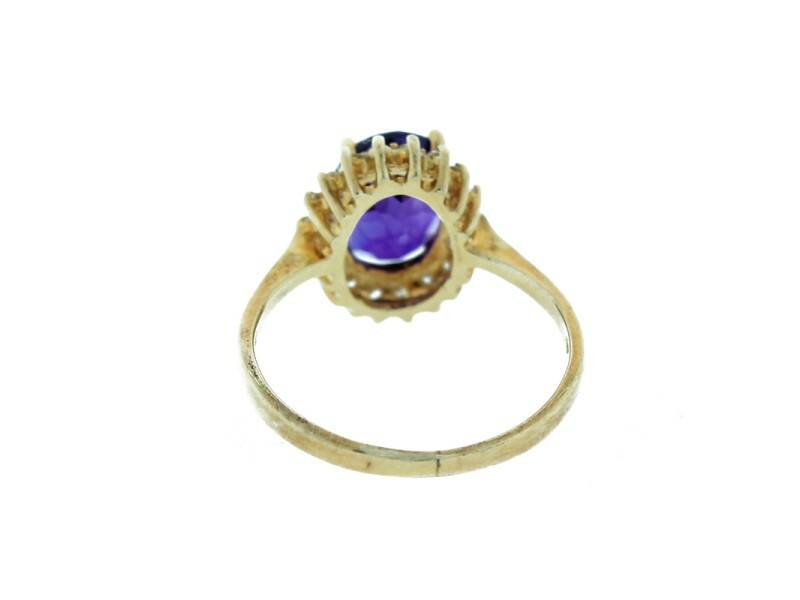 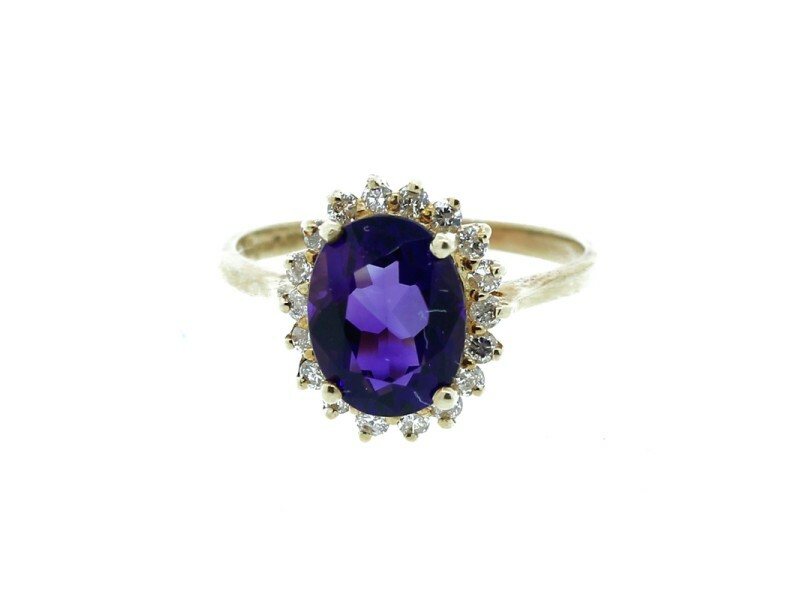 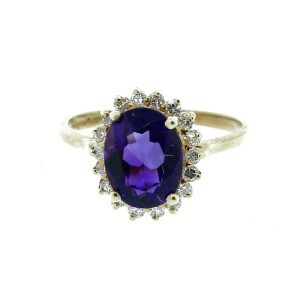 A thin yellow gold band leads to a large, oval-shaped amethyst stone set at the center. 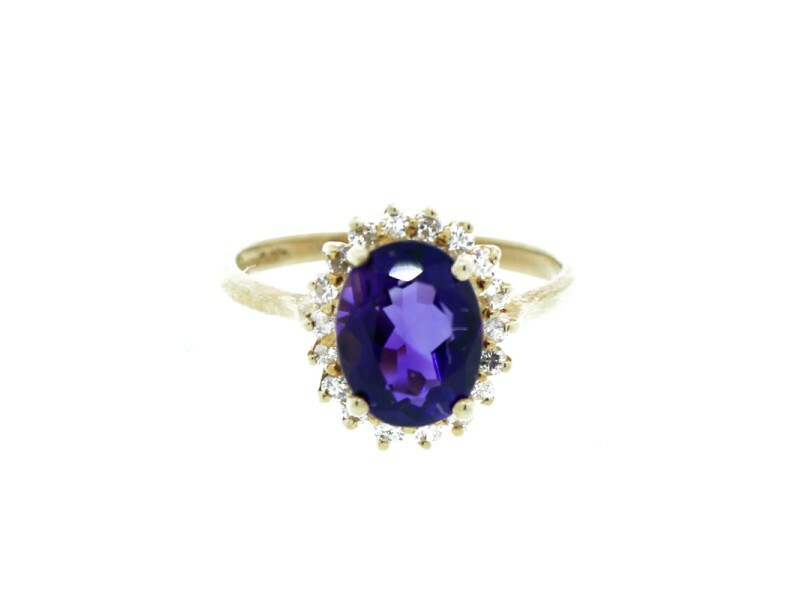 Round, shiny diamonds trim the oval shape for a dazzling and elegant finish. 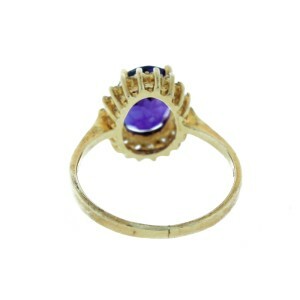 Add the matching earrings and pendant to complete this look.